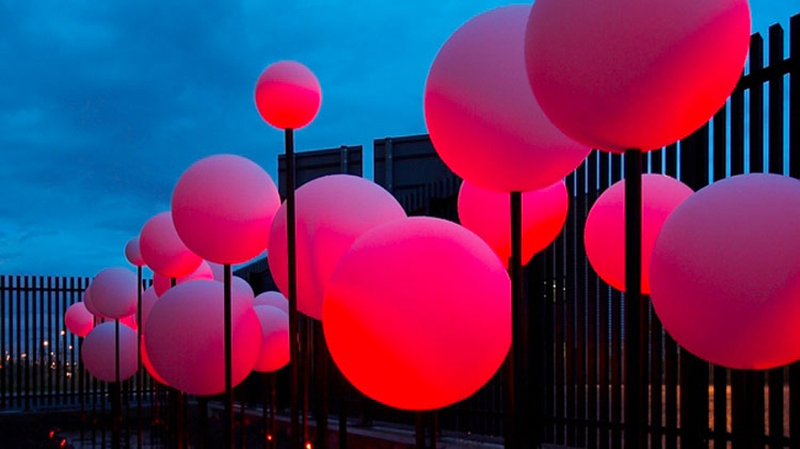 Electronic bubbles are seen through a bespoke perimeter fence occupying the grounds of a Scottish and Southern substation. The colour of the bubbles change in real-time indexing the power demand in Dagenham. Passing motorists and pedestrians see through the fence that creates a rhythmic view of the unusual objects and the substation equipment changing colour beyond. The project was completed by Jason Bruges Studio.